Actress-turned-director Greta Gerwig turns the usual coming-of-age story into a relatable and realistic one. (SPOT.ph) This coming-of-age movie will take you right back to your adolescence, that special time when you felt and knew everything with absolute conviction despite the fact that your life was still one big question mark. 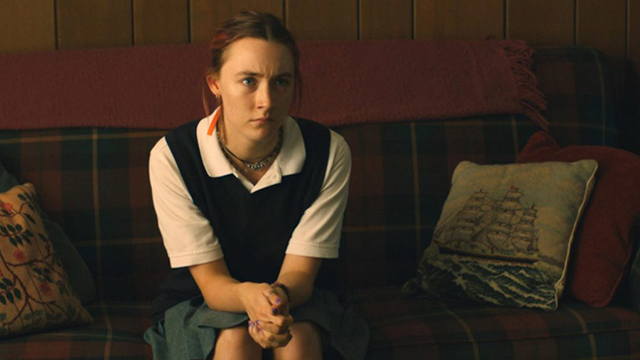 And that’s what Lady Bird is, a creature of absolute conviction whose life is still a work in progress. Our spunky lead wasn’t born Lady Bird. Her actual name is Christine McPherson. When asked if Lady Bird is her given name, she replies in the affirmative. “I gave it to myself. It was given to my by me,” she explains. It’s one of the many ways she lays claim on her own identity. She’s in her senior year of high school with the future right in front of her like an ocean of possibilities, and she can’t wait to dive in and swim…as far away from home as possible, viewing her hometown of Sacramento with sneering disdain and her home life with frustration. Precocious, strong-willed, and sarcastic, her loud personality constantly clashes with the equally strong personality of her long-suffering, well-meaning, and overbearing mother. Their relationship goes from tender to tense in a matter of seconds, always on the verge of exploding into another epic argument. When she and her mom have one of their many disagreements, she throws herself out of a moving car. (And you thought your teenage years were dramatic.) This girl takes teenagering to a whole new level. 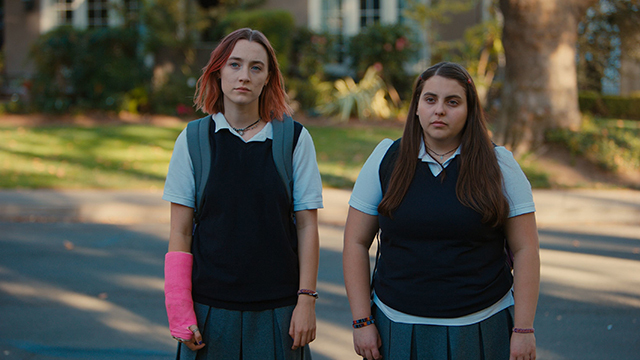 Lady Bird is a heartfelt and comical look at the transition between childhood and adulthood. 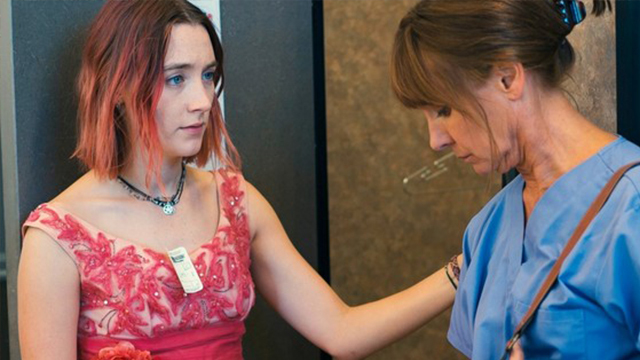 It perfectly captures the complex relationship between mothers and daughters with honesty, humor, and pathos, thanks in large part to the wonderful script and the brilliant performances of Saoirse Ronan and Laurie Metcalf. The script is funny and smart, filled with scenes from your own childhood and dialogue you may have heard or used yourself when you were a teenager, if not out loud then at least in your head. The performances of the two lead actresses are so warm and genuine, you feel for them. Even when they’re being their most difficult, you know they’re both coming from a place of truth and deep love. Even when they’re hurting one another in ways that will scar them for life, you know they mean well. They’re trying their best: The mother, to push the daughter forward; the daughter, to forge her own path. At the end of the movie, Christine finally realizes that growing up and finding one's self is as much about the places, people, and relationships that make and unmake us as it is about the journey we take to make ourselves again. The story of growing up, with touches of heartwarming humor and points of disappointment and frustration, is realistically told by actress Greta Gerwig in her directorial debut. You've probably already seen some of the story's plot points one too many times in other movies. 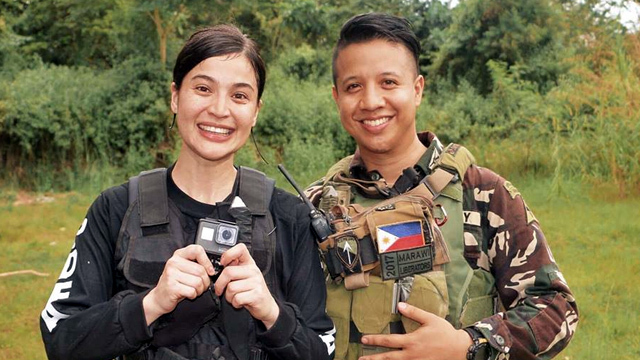 But a deeper look into these narratives saved them from being cliché, and actually made them believable and relatable. Lady Bird premieres in Glorietta 4, Greenbelt 3, Alabang Town Center, TriNoma, and other select Ayala cinemas on February 28.